Last week I visited San Francisco-based Hipmunk, the popular flight and hotel booking service. They invited me over to see a new version of its iOS app that has been in the works for the past three months. I get these invites often, but Hipmunk is a service that I use, so I was interested in seeing what they were cooking up. I’m glad that I went, because the new version of Hipmunk’s iOS and Android apps take everything the company has learned on the Web and made it even better for its native apps. 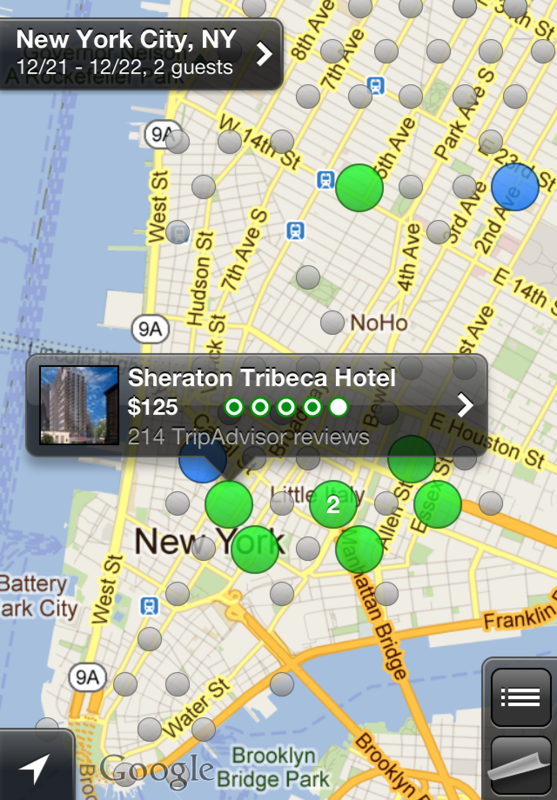 The new app’s is designed to help you find hotels, which is a feature of its main site, but not its main focus. When most people hear Hipmunk, they think flights. After checking out this update, that might not be the case anymore. With a brilliant design and a focus on hotels, which makes much more sense for a mobile app, Hipmunk has taken travel to the next level. Utilizing its search algorithm for hotels, called “Ecstacy” rankings, the best hotels in your current location are found with price, amenities, and reviews are shown on a smart map. 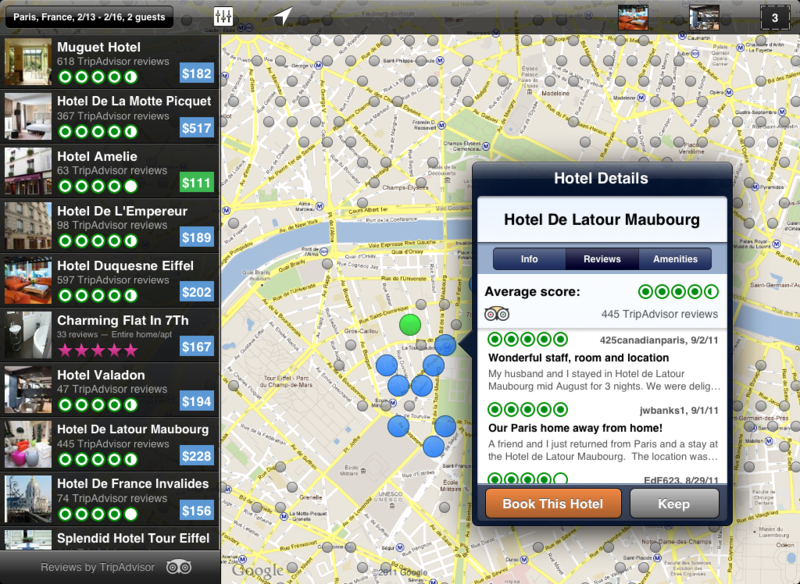 The map shows you the ten best hotels based on this ranking, and changes as you move around the map. You’re only shown the ten best hotels at any given time, so you’re not overwhelmed with choices. This might sound like a standard experience for booking hotels on your mobile device, but the more you dig into the features Hipmunk has to offer, the more you see that it can not only save you time, but it can find you some really great hotels. My demo was done with Hipmunk’s head of mobile, Danilo Campos, who told me that most of the people using the Hipunk website from mobile devices were looking for hotels. This more than anything drove the company to build the new app. Campos told me about his interesting approach to QA’ing the app, which consisted of using it in the wild to find a hotel. 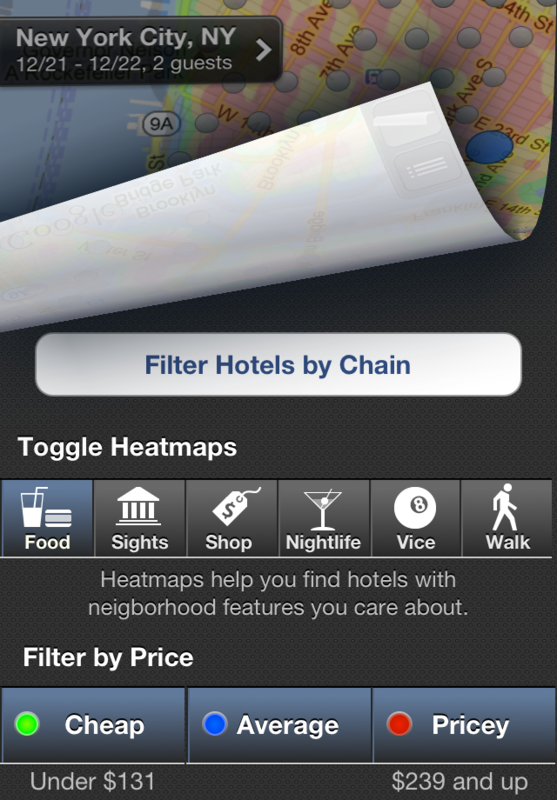 With no other information, he was able to find a more than suitable hotel using only the Hipmunk app. 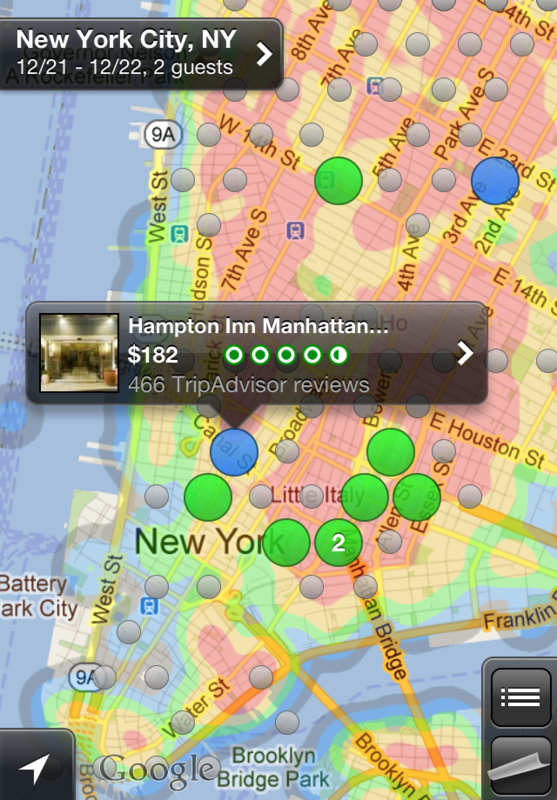 The most solid addition for the app is Hipmunk’s popular heatmap features utilized on its site. 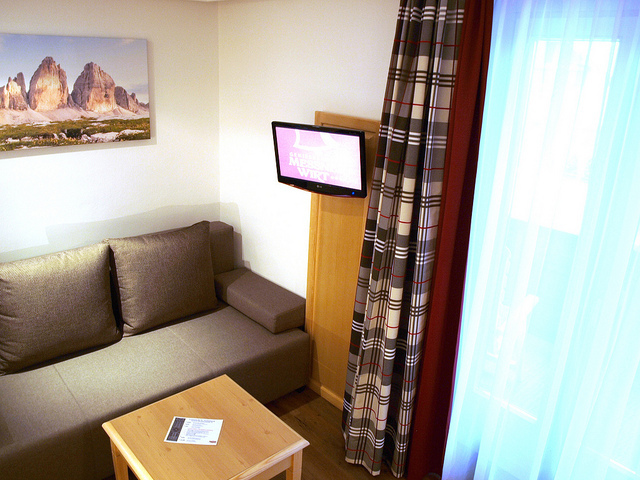 By choosing a category like night life or tourism, you’ll be shown the best areas to book a hotel in. For example, if you want stay at a hotel that’s in walking distance from the best bars, this heatmap display will guide you there. The experience with the native app is much smoother than on the Web. The iOS version works brilliantly on an iPad, showing you a larger map and more hotel details on the left-hand side thanks to the extra real-estate. Of course you can still book flights from the app as you were able to before, but the new version will default to hotels. 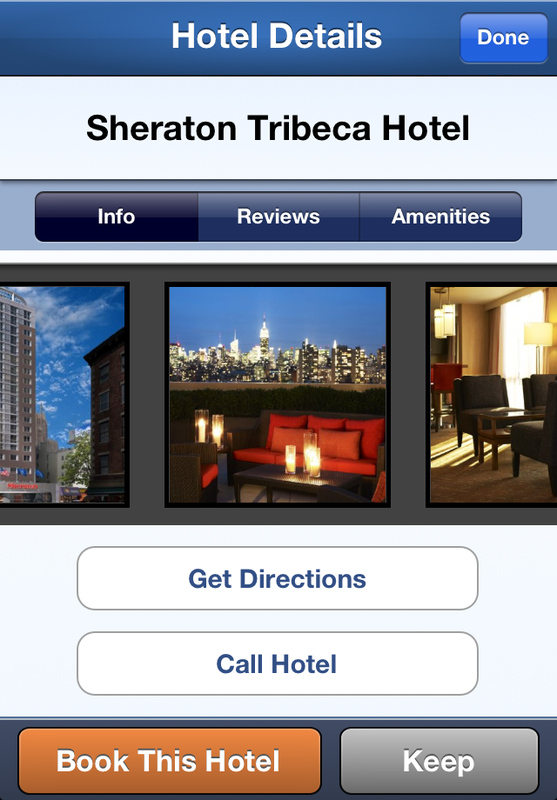 In addition to the new hotel functionality, you’ll be able to “keep” hotel options for future reference and review. The app is gorgeous and it does exactly what you need to do, especially when you’re trying to book a room at the last-minute.